D-AFKE landed on it sbelly in Stuttgart after its prepubescent main gear decided to not drop when needed. 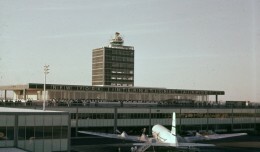 ContactAir Flight 288, flying from Berlin-Tegel to Stuttgart, landed on its belly after its main gear would not fully deploy on landing at about 4:49am EST. 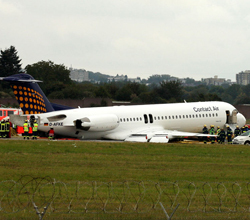 The Lufthansa-owned airline’s Fokker-100 (registered D-AFKE) circled for 90 minutes to dump fuel and try to troubleshoot the issue, and had its main gear only partially deployed on touchdown onto runway 07, which is covered with foam by the crash-rescue team at Stuttgart. 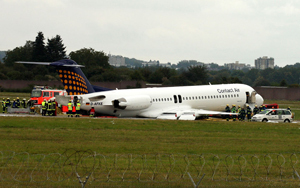 The runway was closed for almost 6-hours, though departures and small aircraft continued operations on a parallel taxiway. 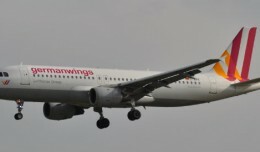 The passengers evacuated via emergency slides, where only one passenger of the 73 onboard received minor injuries, but five others were treated for shock. 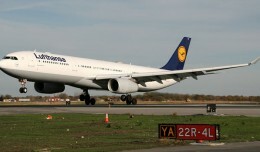 One flight attendant was also taken to a nearby hospital as a precaution. D-AFKE (c/n 11505) had only begun revenue flights for ContactAir a few days prior, having been purchased from a lessor after Mandarin Airlines’ return and received by ContactAir recently on September 1, 2009. It was originally delivered to TAM late in 1995. 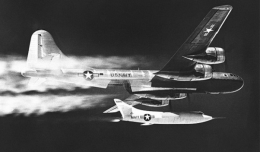 In light of the tragic news earlier today, Columnist Erika Armstrong explores the culture of those who fly professionally and the ultimate betrayal among their ranks. Traveling with your falcon is possible. 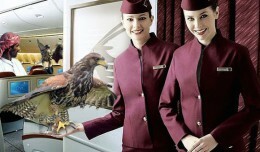 Qatar Airways has allowed them onboard for several years, knowing the importance of these animals to their owners.